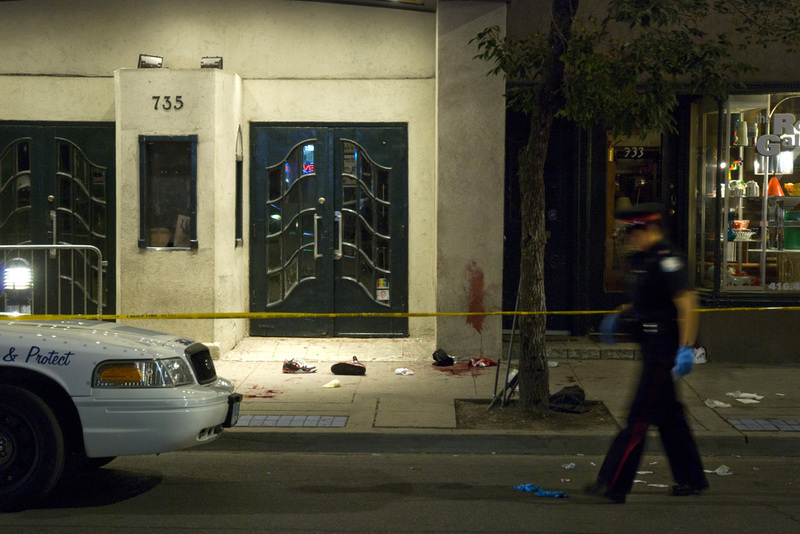 A Toronto Police Service officer walks past the scene of a stabbing which occurred outside the Opera House concert hall at Broadview and Queen West on August 6, 2009. Two men were taken to the hospital with serious injuries. Starting on 12 September 2013, Colorado experienced some of the worst flooding in the state's history. 8 people died and 6 remain missing. 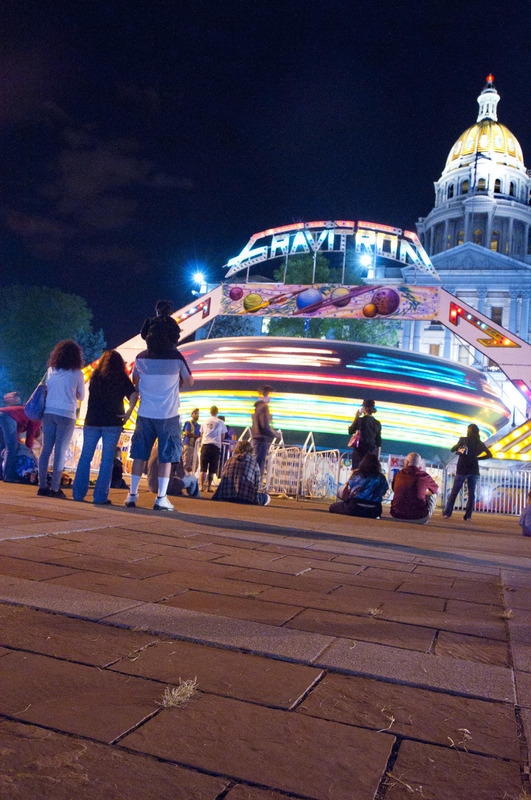 The Taste of Colorado winds down in front of the Colorado State Capitol as the festival's rides spin the last of their riders. The yearly festival brings huge crowds to Denver's heart over Labor Day weekend. A man clears snow on Denver's 17th Street during a blizzard. By the time the snow stopped, nearly a foot and a half of snow blanketed the city. Police officers stand guard around a group of protesters in Denver during the 2008 Democratic National Convention. This controversial policing technique is known as 'kettling' and involves the police encircling a group and detaining them en masse. Louis Lopez is blind, but that didn't stop him from learning the accordion. He moved from Chicago to San Francisco in the 70s, and plays to the multitudes of commuters who wind their way through the Powell St. BART station every day. An aerial performer practices on a trampoline before the start of the Francofolies, a huge street celebration of French Canadian culture in Montreal, Quebec. Student Nina Justamonte of the Culinary Centre of Monterey adds the finishing touches to a game hen on 20 March 2008. Nearly 32,000 people stayed in emergency shelters in Toronto last year. Some can't make it to the shelters, or refuse to for whatever reason. 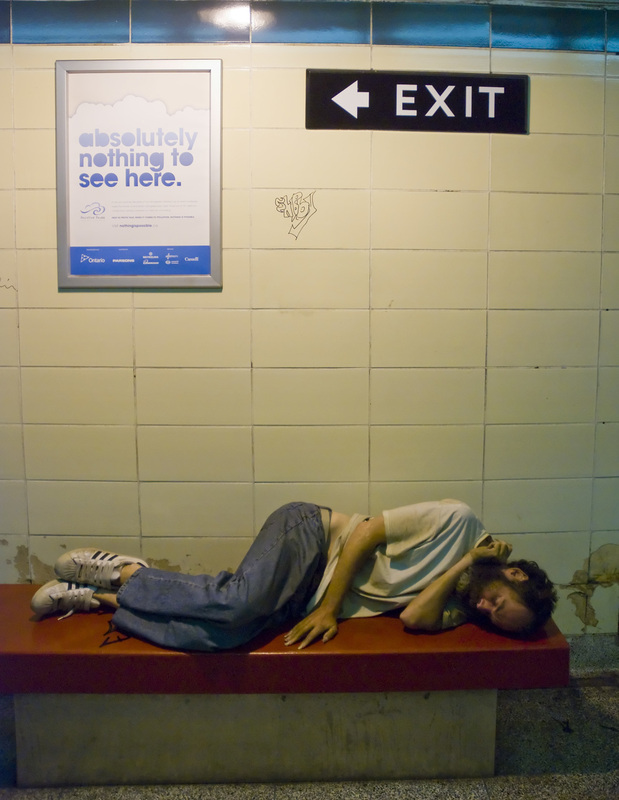 This man found refuge for the night in the Pape subway station. 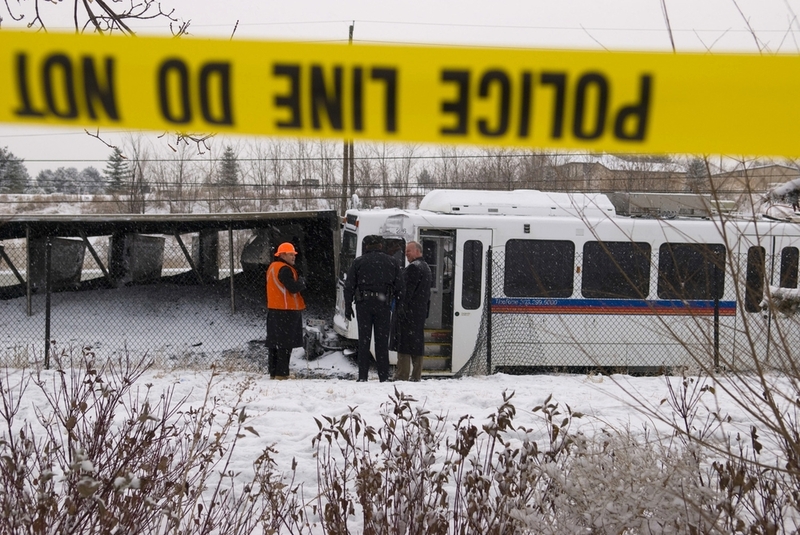 Littleton Police investigators and Union Pacific workers survey the carnage after an RTD light rail train collided with an overturned Union Pacific coal train in Littleton on 11 December 2007. A cowboy takes on a massive bull during Frontier Days in Cheyenne, WY. This yearly celebration, known as the "Gran'daddy of 'em all," is a celebration of the cowboy lifestyle. A Union Pacific conductor checks his radio momentarily in the vestibule aboard the Denver Post's Cheyenne Frontier Days passenger special train as it chugs across northern Colorado. The vintage carriages were brought in specially for this run, and date from the era of steam trains. 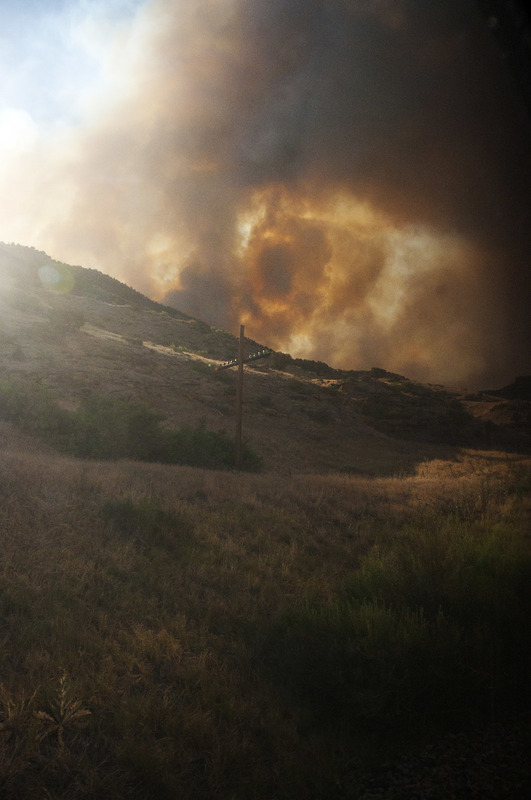 The Pine Ridge fire burns down into De Beque Canyon near Grand Junction, CO on 28 June 2012. The fire, seen here from an Amtrak train, shut down both the railway line and Interstate 70 for hours until the wind pushed it back atop the surrounding mesa. Carlos Cantañada performs a ceremonial dance for Dia de los Muertos at the Tivoli Turnhalle on 1 November 2007. A protester on 15th Street shouts back at the three-deep line of Denver Police around 9:30PM on night one of the 2008 Democratic National Convention.